This morning our bus again takes us far up the winding mountain road to the 15th Century blockhouse fortress now transformed into a conference center. I've since found out it's called Otalora, after an old noble family who owned the whole area reaching back 600 years. In those days, in was an armed way station on a trade route between the center of Spain and the sea, and the Otalora family extracted heavy taxes on the traffic going both ways. This led to wars among the noble families over these spoils, and at one point the tall armed tower on one end of the building was destroyed by a rival. In the years that followed, to bring a degree of stability, all the the armed towers are lopped off on other castles in the area. This imagery brought smiles to the faces of the women in our group, who caught the symbolic significance immediately, even if the men took a moment or two to catch up with the laughter. In any case, Otalora is now owned by Caja Laboral, the worker-owned credit union of the Mondragon Cooperative Corporation, which operates on the scale of a major bank with outlets across the country, in addition to serving as a source of finance to all the MCC coops, who dominate its governing council. The other voice on the council is a bloc of representatives from the Caja Laboral staff workers themselves. A few farmers use the land for dairy cows and sheep, but otherwise, the whole area looks like a well-tended national park. There are currently 755 cooperatives in the Basque Country, she explains, and only 80 of them are the worker-owned MCC coops. There are a total of 537,000 members of all the coops, but only 54,919 are worker members, and 37,860 of these are the MCC worker-owners. Where did these other nearly 500,000 come from? Lorea brings up a spreadsheet on a screen to show us that there all all kinds of cooperatives and members. Eroski, the supermarket chain, for instance, has consumer members as well as worker members, and there are other consumer coops. There are also producer coops, such a diary farmers, where the farm owners are members, but not necessarily the farm workers. There are also marketing coops, transport coops of independent truckers, cooperative schools, food coops and housing coops. At the center of Konfekoop's work as a confederation is the concept of 'inter-cooperation,' the idea that coops should help each other. 'Inter-Coop', as it's called, has several organized components. ELKAR-LAN helps people with the legal and organizational consulting needed to form new coops. Elkar-Ikertigia is a volunteer policy and research center. PromoKoop helps find new markets and helps coops enter new markets. Oinarri helps to link coops to the wider social economy. But there is another vital function as well. MCC is nonpartisan; it's not tied to any political party, and the same is true of many of the others. Still, they need to influence and work with the Basque and Spanish governments, especially on matters of law and regulations that can help or hinder them. Konfekoop enables them to do this, both as a lobbying arm and by directly having its people serve on government bodies and study groups. It's a way of working with favorable politicians of all parties without directly being members of any of them. The Basque government, for its part, is largely favorable to MCC and the other coops, since they have helped to bring a higher-than-average degree of prosperity to the region. We all gave Lorea a round of applause for expanding our horizons. It was now time for our caffeine break, and we all headed downstairs to a room in the old castle that was now a coffee bar. There were three workers getting us expressos and cafe con leches, so I asked, 'Are you guys worker-owners of this fancy Caja Cabral enterprise too?' I asked. ?Of course,? was the answer, as if it was the most natural thing in the world. As we returned for the next round, I heard a few groans about the title: 'The Corporate Management Model.' Some gritted their teeth for a technical lecture; a few said, ?can't they find a better word than 'corporate'?? ?Give it a chance,? I replied. ? 'Corporation' doesn't always translate with the same meaning we put on it.? Mikel introduced Jose Luis Lafuente, whose title, accordingly, was 'Director of Corporate Management Model.' Jose started of by explaining that their model was developed over decades, going back to Father Arizmendi's Ten Principles, but in a 1990s update, was also deeply rooted in the TQM outlook, or Total Quality Management. Again a few eyes were rolled, because a version of TQM was used against U.S trade unions back in those days, and a few around the table remembered it. But as Jose continued expanding of MCC's approach, which put the core values of worker ownership and democracy at the center of an ever-widening set of values and organizational principles, the mood in the room began to change. He then took each component, and in a wonderful set of inter-linked graphic images, he unfolded a number of powerful tools that could be adapted to any progressive organization to build its strength, grow its size and achieve its goals. 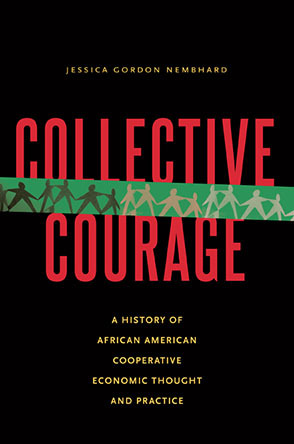 He posted 'people in cooperation' as the first starting circle, then went on to connect that concept to the necessity of participatory organization, wage solidarity, social transformation and many others. By the time he was done, everyone was wide-eyed. ?So what do you think?? he asked. ?I love it,? I blurted out. ?But I'm going to adapt it to building my socialist and other political organizations.? He laughed, but in the front of my mind was the conclusion that I had a powerful, modernized framework to update and supplement Lenin's 'What Is To Be Done' and an number of other classics on organization. It was time for lunch, and all the tables were buzzing with excitement over the presentation. Jose set across from me, but he immediately asked about other matters. ?We made an agreement with the US Steelworkers about a year ago to form some worker coops in the U.S. How's it going?? ?From what I know,? I replied, ?they want to proceed with caution, finding a few profitable firms to buy up and then transform into coops. Plus a lot of their members had bad experiences in the past with Employee Stock Ownership Plans or ESOPs, and they have an educational task show how the MCC model is not at all the same as ESOPs. He countered that it was often easier to form a worker coop as a new startup, but he understood my points. He went on to speak highly of GAMESA, the Spanish wind turbine outfit that had opened up three new plants in Pennsylvania in cooperation with the USW. GAMESA got along fairly well with MCC, even though it wasn't a coop, but simply a high-road green capitalist firm. After lunch, we boarded our bus and headed back down the mountainside to the town of Assarte-Mondragon. We were next visiting IKERLAN, one of MCC's thirteen Research and Development cooperatives. It was the first and the largest, and had a number of research lines. It included 209 full-time research scientists as worker-owners, and another 54 trainees. ?Effective Innovation at the service of our company clients? was how Maria, our presenter, summed up their mission. She went on to describe energy saving power stations, micro-needles for bio-tech medicine, new computer components for smart electrical grids, touch screen control panels for home automation, and so on. ?Less energy, with lighter materials at lower costs? is a common thread, she added. Again I was impressed by seeing the advanced productive forces, created by high design, that would be critical to solving problems like the climate change crisis. One of our team, however, asked an interesting question: ?Does serving your clients mean working on nuclear weapons or other military instruments?? No, she said firmly, we turn these down. ?Is that written down somewhere?? She wasn't sure, but added that with their values, ?We would simply not think of doing things like that.? The comment served as a transition to the last part of our day, a 40-minute bus ride even higher into the mountains. We were headed to a Franciscan monastery with a new secular institution, BAKETIK, the Basque Peace Center of Aranzazu, far above the small town of Onati. The ride itself was a joy, with forest broken up by high mountain meadows with dairy cattle and, once you got higher, the sheep the Basques are known for raising. The cathedral at the top was a powerful piece of modern architecture, one you had to walk down through cut stone to enter. The peace center itself had taken on a tough task. There were hundreds of undocumented refugee children, mainly from bloody civil conflicts in Africa, who had would up on the streets of Spain, homeless. Many were brought here, and paired with volunteer 'big brothers' and 'big sisters' to help them regain trust and their own physical and mental health. It took patience, but it served the children well. On the way back we stopped for an hour in Onati, known for good chocolate stores. It was true, as I picked up a large bar of truffle-flavored 80% cacao dark for only 2 Euros. But as I strolled through the town square at evening, I noticed something of far greater value. The town's working-class families were sitting in the town square, drinking beer and coffee, engaged in conversation. Children had the run of the streets, playing games and riding bikes?and there wasn't a bevy of police cars to be seen. It was a place of community and solidarity, where people still enjoyed the simple company of one another and the smaller pleasures of life.